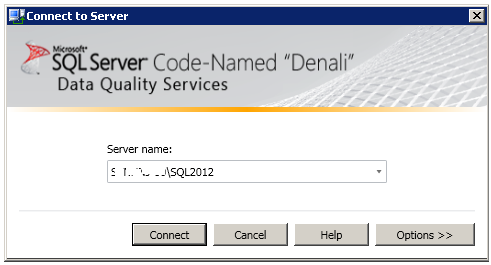 DQS is not installed automatically with Microsoft SQL Server Denali CTP3. You must perform additional following steps to complete your Data Quality Server installation, configure it, and then use it. 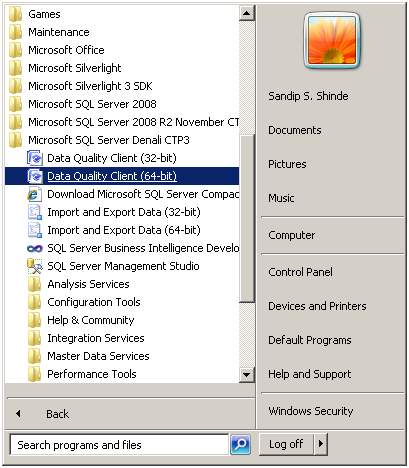 Installed on top of the SQL Server 2012 Database Engine, and includes three databases which are used in DQS. A standalone application that enables you to connect to Data Quality Server, and provides you with a highly-intuitive graphical user interface to perform data-quality operations, and other administrative tasks. DQS_install.log file is created to record the actions performed on running the DQSInstaller.exe file. You are prompted to type at least 8 characters long password for the database master key. The database master key is required to encrypt the reference data service provider keys that will be stored in the DQS_MAIN database when you set up reference data providers in Data Quality Services (DQS) later. Provide a password, confirm the password, and then press ENTER to continue with the installation. Sit back & relax while DQSInstaller install & configure all things for you. A completion message is displayed. Press any key to close the command prompt window. Connect to your SQL Server Instance where you installed DQS Server. 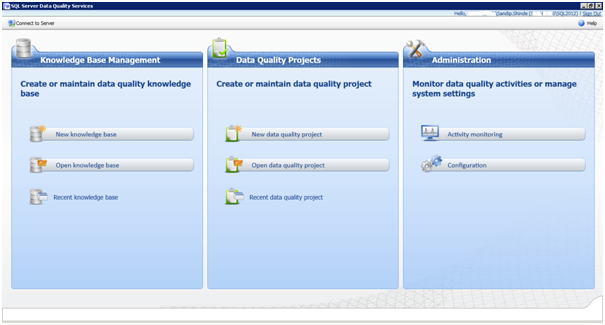 Explore Data Quality Services with Knowledge Base Management, Data Quality Projects & Administration. Will post more Knowledge Base Management, Data Quality Projects & Administration.